EAME is currently engaged on a high value project that is an important component of the major rehabilitation of the port sector of Iraq following its recent tumultuous history. 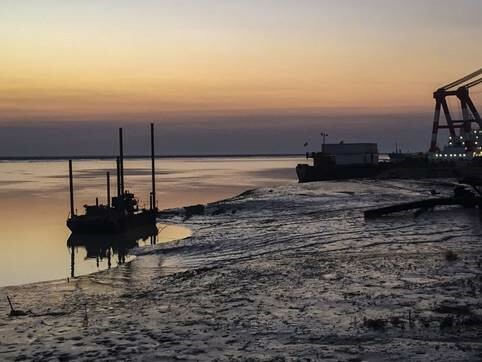 The project involves onshore and offshore geotechnical investigations to depths of up to 38m, along with topographic and bathymetric surveys covering an extensive area, overlapping in three intertidal zones. 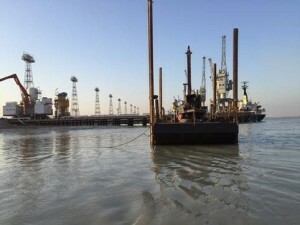 These sites are located along the Khor Al-Zubair channel and will be developed into a waiting area for HGVs, an extension to an existing berth and new “servicing” berths for dredgers and tugs, creating a key facility in the advancement of the port sector. This estuarine channel is of particular importance as Iraq’s only deep water ports are located on the Khor Al-Zubair. The information extrapolated from EAME’s surveys is crucial for the design team to facilitate their own process and realise these key maritime assets. Any project in Iraq is challenging, however, Iraq is presently experiencing heavy rainfall creating very soft ground conditions. This has required new elevated roadways to be constructed to each of the onshore borehole locations, which were otherwise inaccessible. 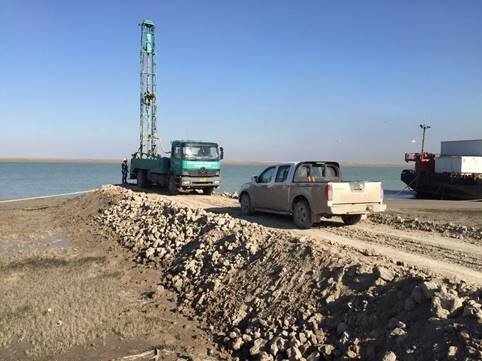 EAME also commissioned a newly constructed small “jack up” pontoon that has enabled drilling in the congested and debris strewn river channel, beyond the low water mark. The topographic and bathymetric surveys were commissioned to help produce elevational and terrain information for the design team. Due to the large amount of debris in the intertidal zone, however, it was not possible to complete the bathymetric surveys along this area, and hence during low tide, the topographical surveyors also collected data from the lower intertidal zone. Data was then merged to form combined contour maps stretching from the land to beyond the low water mark. EAME is an independent multi-disciplinary environmental consultancy with offices in the UK, Romania and Iraq. EAME has been active in Iraq since 2010 working for IOC’s, international funding institutions, property developers and EPC contractors. I m a Land/Marine Surveyor. Wihch data used on this project?